When compared to a lettuce without as deep a hue, like iceberg, arugula contains about eight times the calcium, fives times the vitamin A, vitamin C, and vitamin K, and four times the iron. 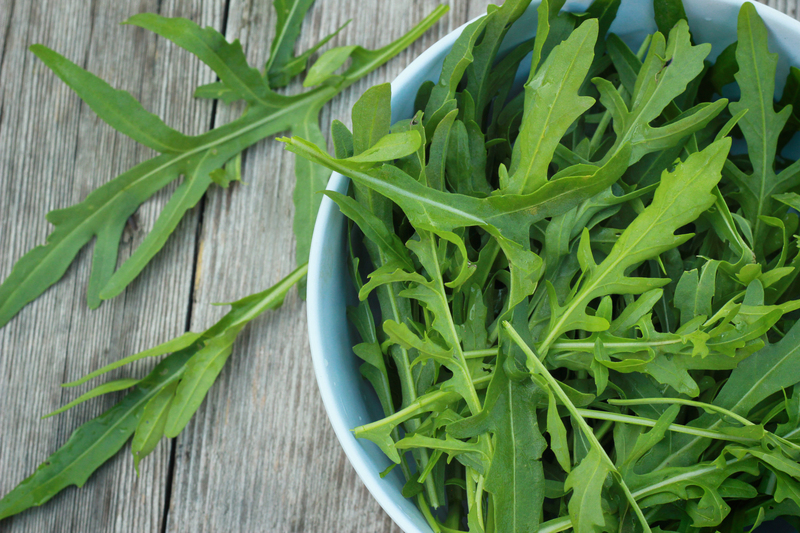 For more reasons to eat arugula (or plant some), read this article. On day 91 of this 365 day project, I ate my daily five (including a perfectly ripe mango). Did you enjoy yours?